Web Design, Managed Web Hosting. What stood out in this project was the need to really showcase people over products so why not put them on the front page. As the nature of the beauty industry are the people who make their clients feel beautiful. 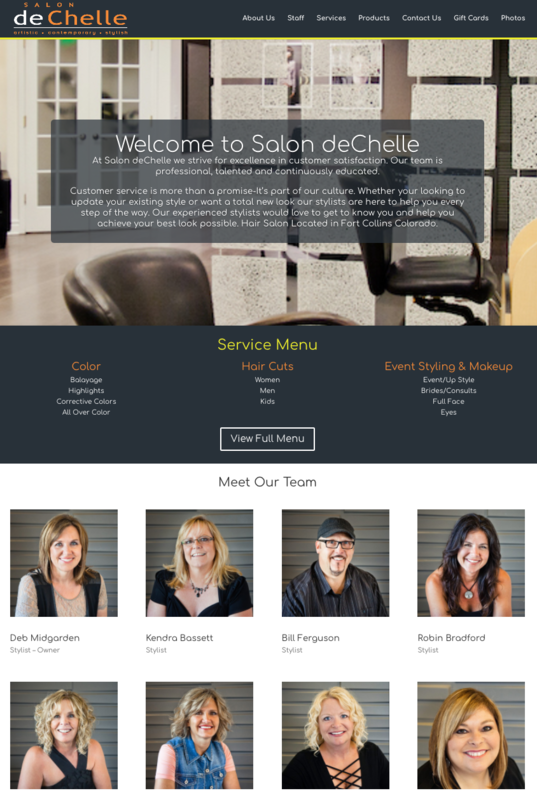 This website needed to encompass how wonderful the stylists are and how easily requesting an appointment would be. Mission accomplished! As all of our websites, we design and build are mobile responsive giving users the best experience to your website from any device.